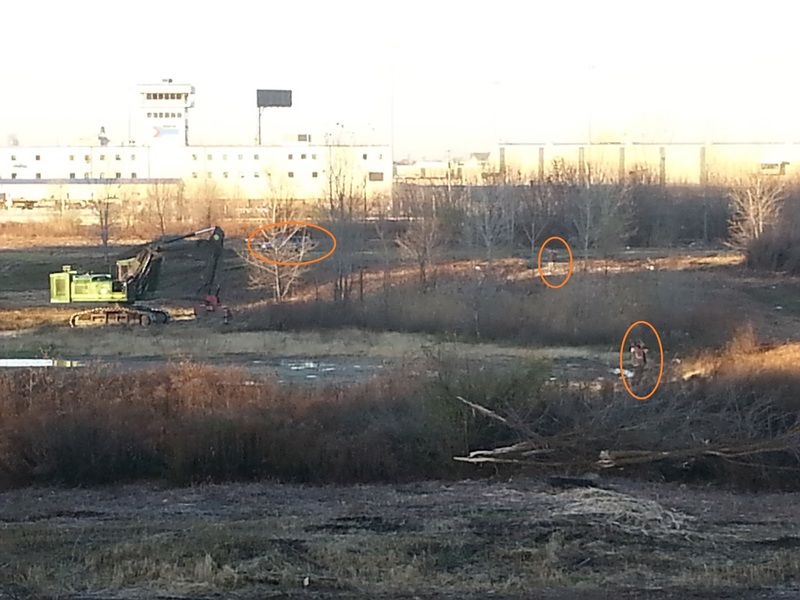 Sloopin - A South Loop Blog: Vegetation Being Cleared Out of "Rezko Lot"
Vegetation Being Cleared Out of "Rezko Lot"
Just wondering if you've gotten word or any updates on the clearing out of the Rezko lot? 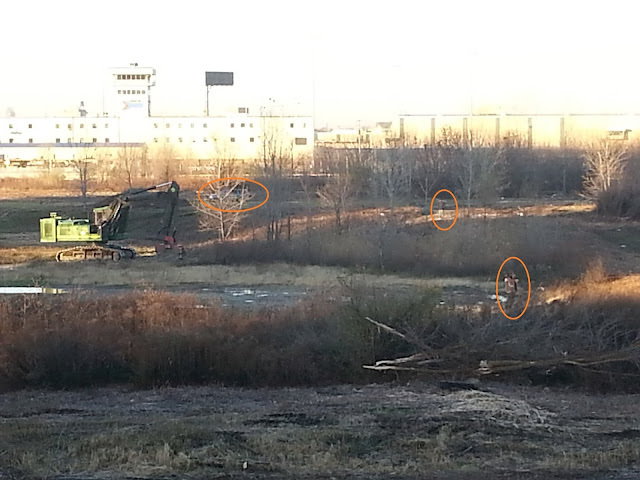 It looks like it has been cleared of trees, debris, high grass etc. starting at Roosevelt and up to about 14th Street. Over the last couple of days I have seen this same, sginle green excavation type equipment out there and this morning noticed there were two guys who seemed to be standing guard. I assume it is preparation for what is to come, whatever that may be. I have attached a picture which is pretty fuzzy as I was zoomed in. As you may recall this amazingly large lot is part of a gigantic (undisclosed) development plan by prominent real estate group Related Midwest. They haven't released many details about the plan, but last we heard we would see something in 2017. This lot will also have the Wells-Wentworth connector running through it which is aimed at providing another north/south route to better connect the loop to south loop and chinatown. It's unclear if the city or the developer (or both) are clearing out this lot. Regardless it's definitely a sign of something to come. 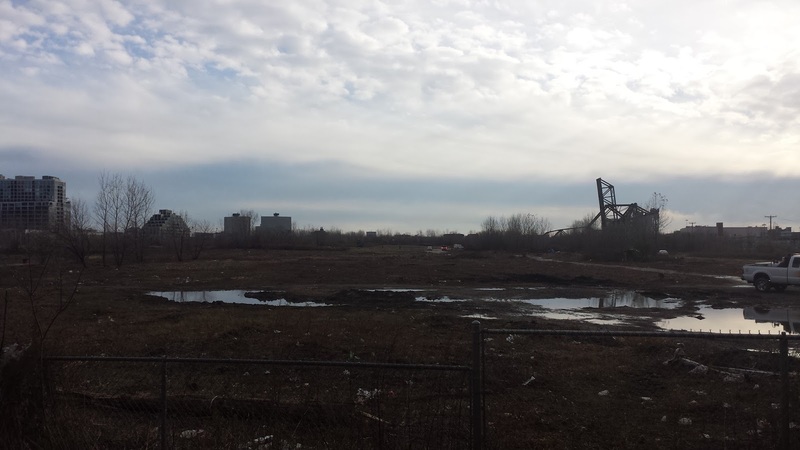 Conceptual Design Emerges for Rezko Lot?